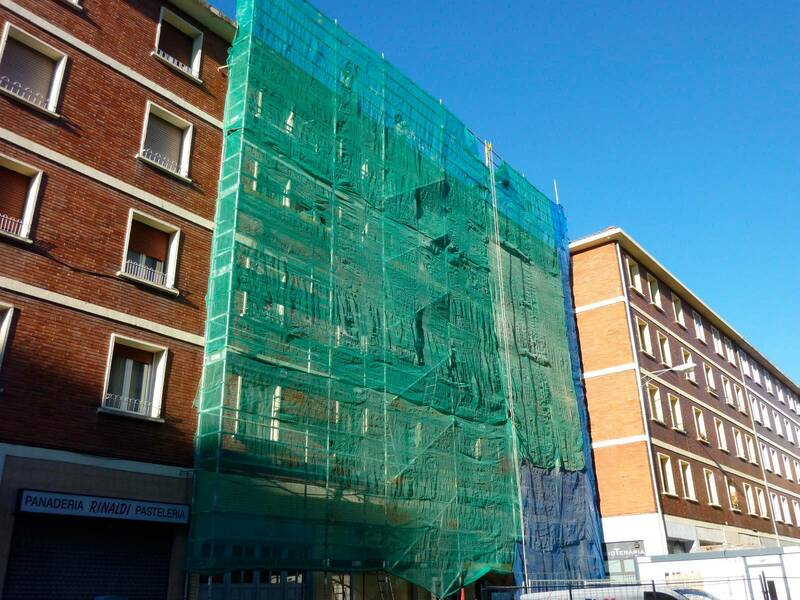 RESTORATION OF FAÇADE in Residents’ Association near Plaza Elíptica in Madrid. . This type of actions is very common. Buildings need to inspected 30 years after their construction. “TECHNICAL BUILDING INSPECTION”. The façade of the building in question was in poor condition, standardised scaffolding was built with projection nets and maintenance work was carried out. Once the BUILDING PERMIT was obtained and PROJECT MANAGEMENT appointed for INSTALLATION OF SCAFFOLDING, the work began. Lastly, the works having concluded, THE BUILDING WAS INSPECTED again and, no deficiency having been detected, THE CERTIFICATE OF SUITABILITY OF THE WORKS DERIVED FROM THE TBI and the file was closed.